The holidays are stressful to begin with, so if you’ve added a Portsmouth move into the mix, stay sane and follow these stress-busting tips. Most have been through the moving process before, so you’ve heard all about how to properly pack, how to create the ultimate moving checklist and timeline, and how to plan for everything in between! But what do you do when you have the pressure of the holiday season and a scheduled move? Things can get a little hectic pretty quickly! A holiday move is perfectly doable, it may just take a little extra stress-melting to do so, but it can happen! 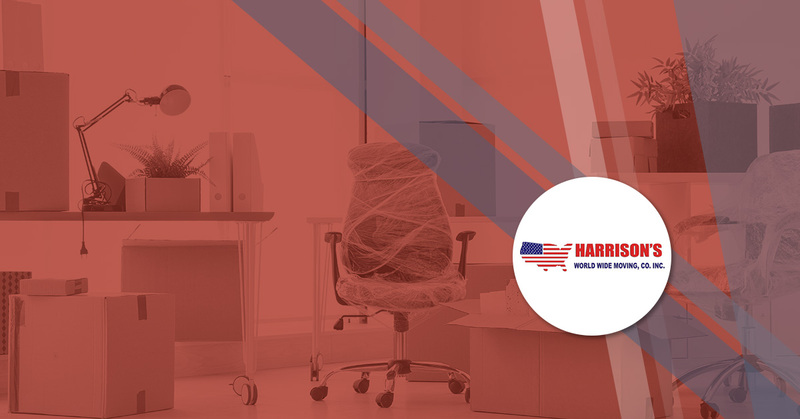 Harrison Moving is your Portsmouth movers that provide comprehensive moving services — whether you’re moving across town or across state lines. If a holiday move is upon you, pause for a moment and learn more about these stress-melting tips! Beyond having your I’s dotted and T’s crossed, there a couple more things you can do to ensure a merry and bright move in Portsmouth this holiday season! The thing that can raise your stress levels faster than anything, is a full calendar abundant in overwhelming commitments. If you said yes to too many holiday parties, now is the time to free up some time in your calendar for your upcoming move. And the best part, you have a legitimate excuse to fall back on — everyone understands moving! If you have children, hire a neighbor to watch them while you begin to pack and plan for the move, or plan a playdate where they’re out of the house for a couple of hours. Now is the time to wipe your calendar free of all time-burglars and putting your energy into the move. Purging tops the list of many moving topics, but to keep things stress-free, getting rid of stuff is going to greatly help. Not only will you have less to move and unpack, but it will also feel lighter around your home. Clutter is utterly stressful — so start with the storage closet that is bursting at the seems, and sell, donate, or toss the things you don’t need. Not sure what to keep? Try the KonMari method to bring the calm! Besides your belongings that are piling up, you may have food you need to get rid of and nothing is more stressful than trying to transport a fridge and pantry full of food that is on the verge of melting or expiring. But, don’t forget the fridge! Start now and take inventory of what you have and meal plan around those specific ingredients. Thin out the pantry by either donating your excess rice to a food pantry or make meals that you can eat as leftovers until the final moving day. This is crucial — delegate anything you can and watch the stress melt because someone else is tackling a project for you. If you have full-service movers, leave the packing and moving up to them. Begin scheduling who can help you move and begin figuring out who can help watch your kids and pets and when the cleaning company can get in and clean up after your departure. Self-care at this point may look like sleeping a full eight hours or eating healthy on a daily basis instead of getting take out. Whatever this looks like, indulge yourself to reduce your stress. There is moving — which is always stressful — and then there is moving during the holidays which can set most just about over the edge! Take time and reduce your stress by freeing up time on your calendar, purging, delegating, and practicing self-care during your impending move. For the leading Portsmouth movers, partner with us today!